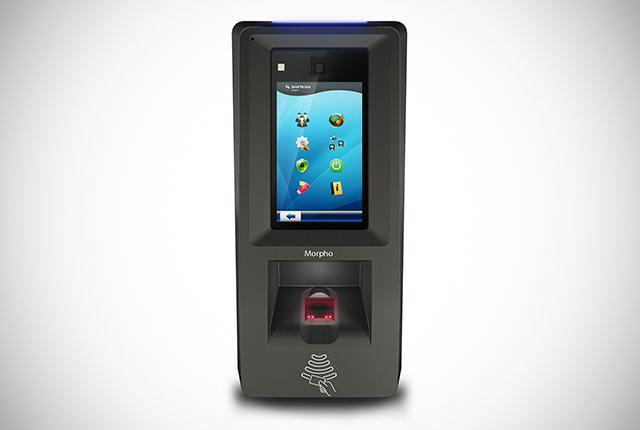 The successor to the tried and trusted Outdoor MorphoAccess® (OMA) fingerprint reader, the new MorphoAccess® SIGMA Extreme brings next-generation features and enhanced robustness for industrial, mining manufacturing and marine environments, construction sites and sports stadiums. “Where the older OMA was renowned for its rugged reliability, even withstanding daily high-pressure hosing in abattoirs, for example, the next-generation MorphoAccess® SIGMA Extreme is even tougher,” says Coetzee. The reader is meticulously sealed in a tough polycarbonate housing to protect the wiring and electronics, awhile its sturdy wall mounting features can withstands a load of up to 50kg both vertically and horizontally. Its IK09 rating assures that the unit can withstand vandalism and fairly high impact to both the glass and the unit. Importantly, the MorphoAccess® SIGMA Extreme boasts revolutionary features such as a built-in camera, speaker and microphone for video calling and surveillance making it suitable for access control in remote areas. The exceptionally bright tempered glass, colour capacitive touchscreen with an ambient light sensor automatically adjust the display illumination, and a powerful loudspeaker is suited to noisy environments. The reader also features 16 programmable function keys, access timeslots and holiday scheduling; as well as up to one million logs storage capacity for clock in/out records, and an embedded web server capability and Ethernet or WiFi connection to administrators for remote management, audio/video interface and to trigger on-device enrolment. “In industrial-type environments, speed and accuracy with large databases is crucial, for example in the mining sector where thousands of miners need to clock out at the end of a shift. At the same time, industrial fingerprint readers have to be able to withstand the harshest environment imaginable – wind, sun, salt spray, underground humidity and more. The MorphoAccess® SIGMA Extreme delivers all this and more,” says Coetzee.